Bonni Brodnick Blog : Huffington Post: "10 Thanksgiving Tips for Turkey Day and The Joy of Fowl"
Huffington Post: "10 Thanksgiving Tips for Turkey Day and The Joy of Fowl"
What sides are you serving, and are you brining/marinating/smoking/deep-frying/steaming/grilling/rotisserie-spinning your turkey? How is your acumen for calculating cooking time and how do you artfully dodge the question, “Is the turkey ready yet?” when guests start getting cranky? 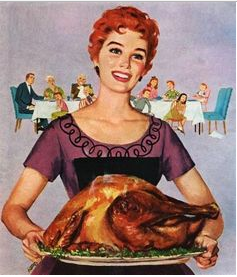 Click here for my new Huffington Post and get all the dish-plus-10-handy-tips for Turkey Day.